Mechanical keyboards offer an excellent typing and gaming experience but they’re usually confined to desktop PCs -- except for the odd 10-pound gaming laptop. 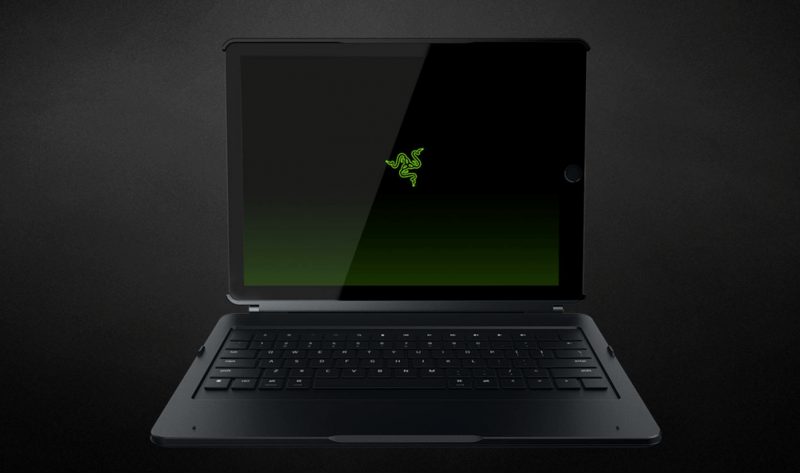 Razer believes it can change that using its new ”Ultra-Low-Profile Mechanical Switch" to replicate the feel of a mechanical keyboard in a much smaller space -- a tablet keyboard cover, to be precise. Their new Mechanical Keyboard Case is meant for the 12.9-inch iPad Pro and is about as thick as the iPad itself but has true actuation and a reset. Razor’s new low-profile switches have a total travel of just 1.6mm, with an actuation point of 0.9mm and a reset point of 0.6mm. The keys are individually backlit and require an actuation force of 70 grams. Aside from mechanical key switches, the device features a detachable polycarbonate cover, a multi-angle metal kickstand and Bluetooth connectivity to pair with the iPad Pro. Battery life is rated at 10 hours with maximum brightness, or 600 hours with the backlighting off. Pricing is definitely on the steep side at $170 -- the same as Apple’s own Smart Keyboard for the iPad. It’s available now through retailers and the Razer Zone. While it remains to be seen whether Razer can move many of these at that price, if it can deliver a better typing on this form factor it’s still a win for the company as we’ll likely start seeing their low-profile switches on a fresh lineup of Razer Blades.